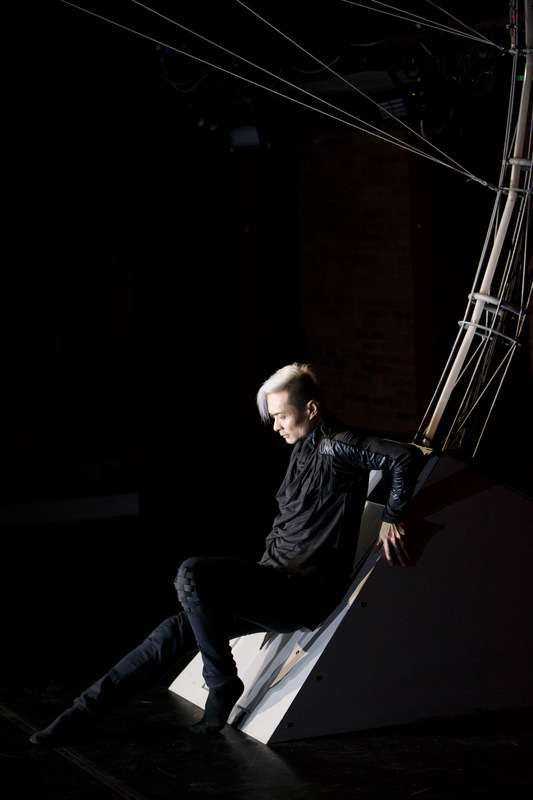 Choreographer William Yong proposes a future in which human labour produces energy and the pleasure of movement works to integrate technology into the social sphere. 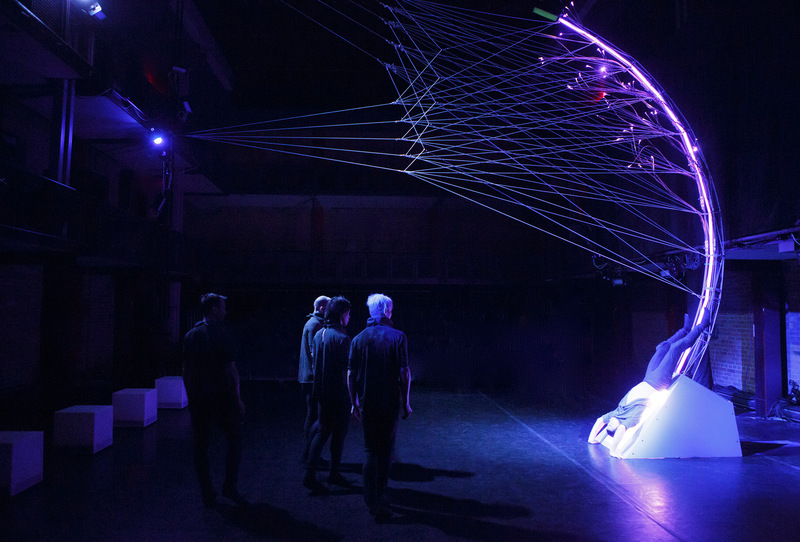 Thanks to a multi-year creative partnership with ground-breaking researchers at York University and interactive designers Aesthetec Studio, Zata Omm is undertaking a formal experiment of the most absolute practicality: What does a show that is powered by sustainability look like? 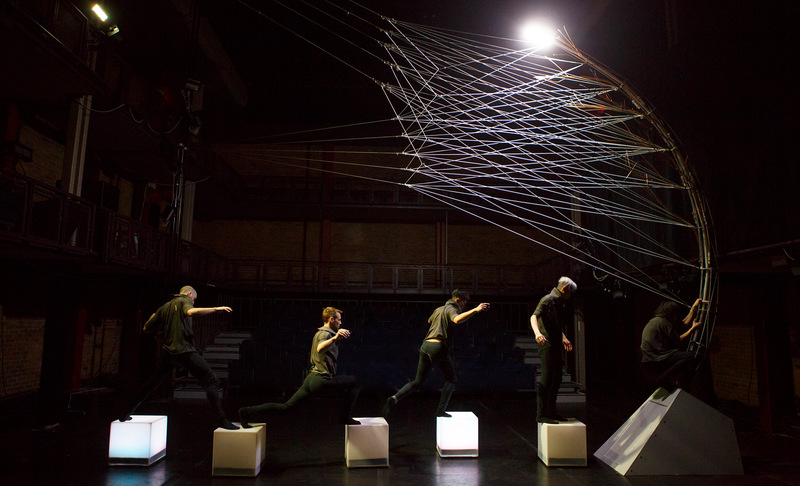 Lighting itself with energy created by the dancers, the audience and renewable sources, vox:lumen imagines a situation in which the necessity of illumination structures every human interaction. 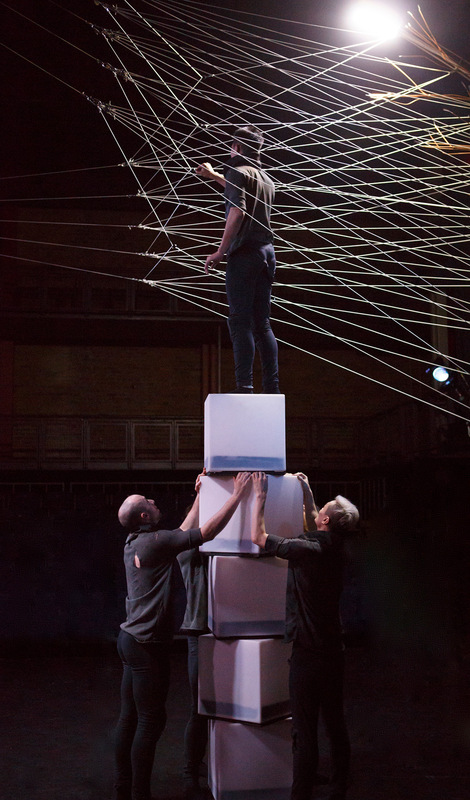 The performance confronts the audience with the most elemental metaphor for understanding, as dance becomes the interplay of darkness and light – the light we make ourselves. The audience is invited to help contribute to vox:lumen’s energy needs from March 4 to March 7 (an hour before the show) at Zata Omm’s Energy Fair in the theatre lobby. Zata Omm Dance Projects is Zen and the Actualization of Modern Movement. Artistic Director William Yong has made the award-winning organization a site for research focussing on the integration of dance, technology and broader culture. Dancers: Michael Caldwell, Irvin Chow, Daniel McArthur, Brendan Wyatt and William Yong. James McKernan with assistants Jonnathan Leong-Sem and Adam Brewer. Early stage of technology research was funded by George Cedric Metcalf Charitable Foundation. 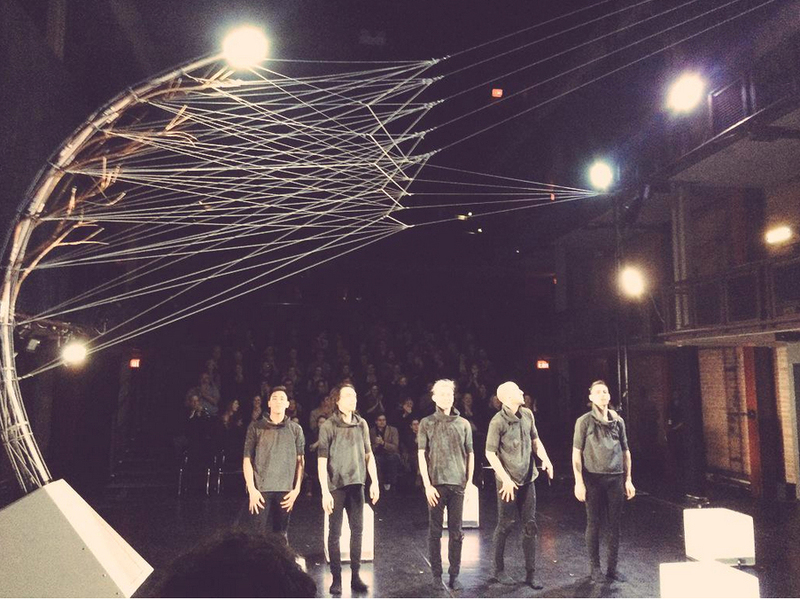 vox:lumen is sponsored by Bullfrog Power and generously funded by Canada Council for the Arts, Ontario Arts Council, Toronto Arts Council, Harbourfront Centre and TD Friends of the Environment Foundation. 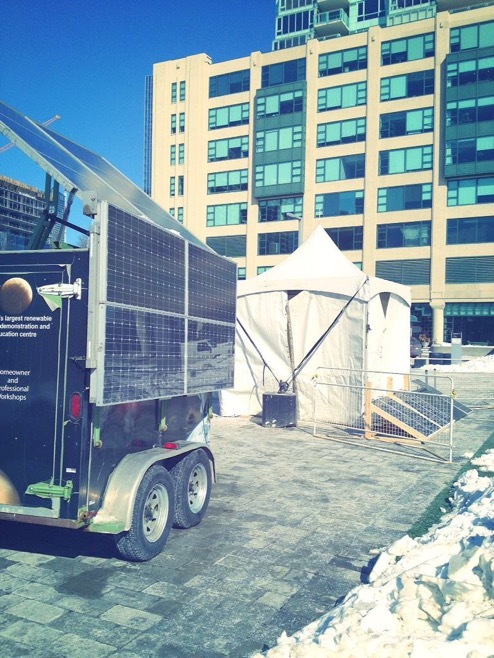 Solar Energy devices are sponsored by Better Current and Kortright Centre for Conservation/Toronto and Region Conservation Authority. Light-emitting diode (LED) stage lighting is sponsored and costumed made by A.C. Lighting Inc. Energy fair displays sponsored by Asethetec Studio, Kortright Centre and Tune Your Ride. 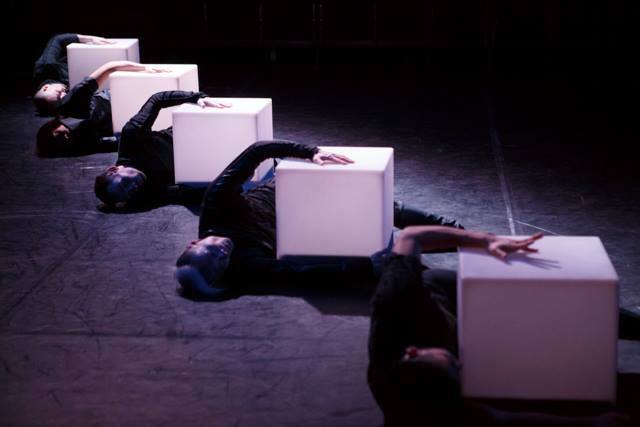 Zata Omm Dance Projects is in a state of constant development with on-going artistic research to explore the artistic climate, reflect contemporary culture and lead the emerging artistic trends. Zata Omm’s objective is to create multidisciplinary contemporary dance works using meaningful integration of dance, technology and other art forms on stage in order to provide an alternative way of seeing our world, which facilitates our exploration and understanding of the human condition. Artistic Director William Yong has created more than 57 dance works worldwide which have been presented by major presenters or in renowned festivals.